Poll: Birds of a feather fly together? Yes! Tail feather bonus is a cool/interesting mechanic! No! The raven flies alone! No, the bonus won't make much of a difference anyways. Yes, this will allow rareish feathers to be shared with all. This is a relocation of the discussion in General Games Chat. You can see the beginning here. (06-05-2015 11:27 PM)Supernerd Wrote: This game would have deep character customization right? As in, not just taking predetermined skills along a set path. (06-06-2015 12:29 AM)ICantGiveCredit Wrote: maybe slots are first come first serve. after all, how many players could he manage? Okay, so as it has been pointed out by CW (and I guess SN), the tree system won't work in its current state unless many points are given out or very few points are given out but upgrades give significant player advantages. Also the Tree system isn't all that original and wouldn't offer an improvement in game play. So, what I would like to propose is a "card" system. Rather then points, winning boss battles would award you equipable "cards" ('bird ballots'? 'evolutions'?) that would give your bird a boost (different difficulties and different bosses will award different tiers of cards). This would allow players to be able to frequently change their stats if they so desire, and would give a more customizable element. Cards would also gain experience through use, slowing down the rate at which lower level cards become outdated. Both the number of equipable cards and the level of cards would have caps. What do you think of this system? tl;dr : I propose a card system that grants equipable stat cards rather than points to be put into a skill tree. You might consider linking this in the General Games Chat. That way we can bawk here about how to nit peck at this poultry game system (Ba-dum-tish). A card system sounds cool and i think would also be a sound choice in terms of mechanics, but you're probably going to want to go for a 'less is more' design. Being able to equip upwards of 10 cards would be very bad for instance as you'd just pick the ones that fit the overall direction of whatever you're trying to do without much thought put into it. Having say, a max of 2-4 cards equippable would allow you to design the cards to be gamechanging and actually give a compelling choice (depending on how good you are at designing new cards, anyway). For instance, you could have a card that turns you into a damage sponge with a huge health pool, able to take a lot of hits but inevitably doomed to go down. Then as a parallel option, you could have a card that adds a high damage reduction, becoming virtually indestructible against certain attacks, but a single attack that gets through might kill you on the spot. And then you can combine the two to gain immortality, but at the cost of having very limited options for more cards. With such a system you could also have cards that give you certain on-use abilities or grant you utility functions such as flight because birds, and suddenly you can access something that was otherwise out of your reach, like a bag of poisoned bird seeds you can spill onto the floor and trick the boss to eat or whatever you like. I guess death would be tilted away from heavily-punishing RPG. I was thinking a system where every player can die once in a boss battle without consequence (this would remove you from the battle), so long as at least one player survives and the boss is defeated. Players who died would still get their cards levelled (provided a win), and the player collective would still be awarded cards, with the reward not based on who survived the fight. DUCK: +Foul Eggs(SA) – May be used on a turn cycle to place eggs. If an enemy moves onto the square with the eggs, they explode, dealing 1/2/3/4/5 damage to it and all adjacent entities (friend or foe). Teleportation won't trigger the egg-splosion. ROBIN: +1/2/3/4/5 Health Restored when an adjacent player is injured or killed. CASSOWARY: +Retaliating strike(PA) – If an enemy injures you, and is within your attack range, attack them with a +1/2/3/5/8 damage bonus. This doesn't activate if the attack kills you. 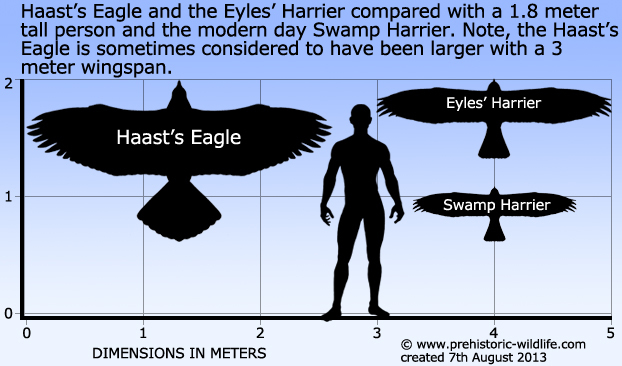 Hoping for Anzu and Haast's Eagle to be included. Rather than cards, feathers. So that there would be a bonus if birds with "the same feather, flock together"
(06-07-2015 03:37 AM)ICantGiveCredit Wrote: Rather than cards, feathers. So that there would be a bonus if birds with "the same feather, flock together"
Impeckable decision. Since this game isn't going to be too terribly serious (atleast, in the concept of chickens kicking the crap out of a dragon with their Secretary Bird feather), the gimmick must be absolutely involved. Feather bonuses will be considered, but I will call the cards feathers from now on. I could do something like every player picks a "tail(better name?) feather", and the more birds with the same tail feathers, the bigger bonuses are given to everyone, with the level of bonus being the number of bird feathers -2. For example, 3 Turkeys would give everyone +1 Damage, 4 would be +2 Damge, ect. As for movement/turn/battle mechanics, I was thinking similar to FGAODS(this is a link), where players publicly submit their 5 actions (after discussion with teammates concerning how boss should be approached) for the five cycles of each turn. Players will be able to perform an action (move, attack, or special ability) every turn, with extra actions being distributed among the phases in terms of extra moves or attacks (special abilities cannot be used on extra actions). If you try to move in a direction and an enemy blocks your path, you will attack that enemy (instead of moving). On the flipside, if you attack a square and there are no enemies there, you will do nothing. Stat mechanics wise, there will be Health, Damage (a set number, not a range), and attack range, as well as any secret stats that appear from feathers. Basic sort of "if health drops to zero, you are removed". Attack range will allow you to attack enemies in a straight line from you n spaces away, where n is your attack range. Also, I know what the tutorial boss (1st boss you face with no cards) is going to be. It involves dancing mermaids and lizard people... I just have to design their movement patterns for the hard difficulty, just in case that is the path taken. Actually, I may just abolish the naming scheme easy/medium/hard and have the difficulties be: Mild, Spicy, Inferno, Ghost Pepper Hell (like chicken wing flavours). When you guys do the first game I recommend against choosing Ghost Pepper Hell. You do not want to give your players an incentive to use the same feathers as everyone else. The point is having choice and diversity and rewarding your players for all agreeing to use the same feather as everyon else will remove those things from your game. Synergy and team strategy/planning is cool, but thats not how to go about it, i think. also on the subject of birds, i saw this earlier. (06-08-2015 01:50 AM)chimericWilder Wrote: You do not want to give your players an incentive to use the same feathers as everyone else. The point is having choice and diversity and rewarding your players for all agreeing to use the same feather as everyone else will remove those things from your game. Synergy and team strategy/planning is cool, but that's not how to go about it, i think. If you've ever played the game Teenage Mutant Ninja Turtles and Other Weirdness, the Tabletop RPG Game. Then it this system doesn't actually sound too ridiculous. See, in the... turtle game (not calling it by it's full title again), you could gain "family bonuses" and essentially everyone had to be the same type of mutant (like, everyone is going to be a mutant possum). In return, everyone got bonuses depending upon other player's high stats... which I don't feel like explaining the full detail of. The downside to this though, was that you lacked versatility. The instant somebody found a way to counter your animal type, you were a goner. So, I think minor bonuses such as these don't really hurt the game. Plus, this is supposing anybody would want to be exactly the same as someone else. Except, it only applies to the "tail feather". Only one of five feathers of each player counts towards this. After 7 players with the same tail feather, there is no increased bonus. Actually, it would probably be hard to get many identical cards (save tier 1 and maybe 2), so the bonus wouldn't be that notable. But I could do a poll to gauge the general feeling people have towards this subject. Ah, i misunderstood what you said earlier, if its only one feather its significantly less bad... However, consider that your players would almost certainly just pick damage and then just get a static bonus for that. Unless one or two guys wanted to be really tanky but have no damage whatsoever, in which case the mechanic pressures them into abandoning their divergent build just so everyone else can get an additional bonus. That some guy wants to make an unusual build shouldnt hurt the other players (unless it turns out to be a really bad build that is good for nothing but dying, anyway). Consider atleast having it not scale with how many players choose to opt into the chosen tail feather. @Gorsgan the system you describe gives a weakness to your team which adds significantly to how that ends up functioning; its not just a static gain, you're also weak to certain types of attack or whatever, meaning its a tradeoff - and thats good because that gives a choice to the player - do i want these bonuses enough to risk running into something that could potentially stomp me into the floor? If you added similar weaknesses to the tail feather mechanic, i think that would be cool Reyweld, provided they're more than a stat trading, giving you damage at the cost of health or the other way around. Since you know it would be a bonus applying to (potentially) the whole team, you could design it to hamper the team in more strategic ways, such as limiting their sight of whatever map you're planning to use, reducing the maximum amount of times they can move in any direction per turn or other things that might turn out to be really inconvenient at one point or another - or they could not matter at all. The "Tail feather" mechanic could be swapped for deity worship; deities, rather then giving stat bonuses for feather conforming, give game modifiers (good and bad) based on "prayers". The deity with the most prayers (player votes) is enabled for the next boss battle, with ties enabling all tied Deities. Then I could also make deities unlockable through player achievements/progress to add another direction. There would be an option for a no modifier deity, of course (deity of freedom?). For example, a deity might restrict players from using attack commands (forcing them to move into their enemies to attack), but create a "6th" turn phase in which all enemies remain idle. Is this a more preferable mechanic? (06-08-2015 10:03 AM)Reyweld Wrote: The deity with the most prayers (player votes) is enabled for the next boss battle, with ties enabling all tied Deities. This would be too easy to use to the player's advantage and may make for some ridiculous munchkining of the system if players just intentionally tie multiple deities to gain all of their benefits and minuses. All the deities would also have disadvantages, no? So in a way that would just make the battle more glass cannon-esqe. keep in mind though that that is adding another way for the players to gain an advantage; the more such systems you have in place, the more diluted each bonus will become since you probably still want your encounters to be challenging, so be careful with adding too many bonuses from too many sources, unless you want to reduce the amount of feathers you let players have. Well, as long as the deities have both a negative and a positive they become less of an advantage and more of a side-condition. Also, if you want to make the disadvantages less strong than the advantages, you could always make the god's bonuses more obscure and change them for each battle. So, like, one god might be the "God of Slaughter" and it's description could say "Enjoys a Good Bloodbath," While it's actual effect is to heal players when they slay monsters, meaning that their strategy will change depending on what they think is best. But then when they try to do the same thing for the next boss, they end up with "You Gain slightly more exp for trash-mob klills" which they wouldn't know. Just an option. That is it. And also, considering I have some quite tough bosses planned (including bosses that are 12 people, a pokemen battle, and a chess board set up), I don't think too many bonuses will be a problem. This game will likely be hosted 24-25 (because my last exam is 23), and any of you discussion-goers can have a head-start to the first-come first-serve sign up tactic I will likely use. As in, you can reserve yourselves a spot. Because you have helped shape it. @SM post: I am liking the chaotic "no idea what this god does" idea, seeing as higher forces usually aren't that predictable, but that may make more people just opt to vote null deity. Simple answer to that- Why have a Null Diety? Personally, I would suggest simultaneous "Birds of a feather flock together." and "The Raven flies alone." A bunch of similar birds form a flock, but that means that everyone shares some weakness, while on the flip side, those who do things differently have, well, different strengths and weaknesses. What about a feather that in the tail feather slot gives more bonus, but for each player with the same feather in the tail feather slot, the weaker it gets? Personally, I don't like making deals with all powerful beings who's effect is left up to a GM. Sorry, Wish in D&D will get you paranoid. Now if all possible results were shown, that would be nice and less of a punch to the nuts. Timetech's idea of having "Raven Flies alone" bonuses actually might fix the issues chimericWilder was bringing up, so I second this measure. Also, how many players will there be? I'd like to know before fighting this 12 person boss. And I'll gladly reserve a spot, this game sounds like it will be spectacular. Its probably best to be tranparent when communicating what you can expect to get from a given god. But who is to stop you from having a god of chaos like Sheogorath, who can give you potentially very powerful effects. or turn you into a chicken made of living cheese. Whether or not I get to participate, (btw The Raven Flies alone idea spawned from the poll) I believe mild is the best choice /for now/ so that as a group we can decide on a good actual game balance for the future. I plan on having 8 players fighting in any given boss level. I was considering 10, but that would just make the game slower to update (more people to wait on + more things for me). Plus 8 squares are adjacent to a square on a grid, so players could all be attack the same person at once. The 12 person boss is likely the fifth or sixth boss. And it will be a challenge. For tail feathers, I think I'll group each bonus into three groups: 1 (high bonus), 2-4 (med bonus), 5+ (low bonus). Either this bonus could be a stat bonus, or this bonus could be a pokemon-like weakness/strength thing (like phoenix tail feather would give resistance to fire, but weakness to cold) actually that would be complicated to keep track of all the time. SO, it would be a secondary stat bonus. HOWEVER, there is no reason why anyone would ever have the same feather. Ever. The bonus is better if everyone is individualized, and there will be feathers with similar properties, so players could just equip whatever to ensure everyone gets a significant bonus of some sort. I have an idea for a way around this: your tail feather must be your highest level feather. This would make the players have to balance between high level feathers and strong tail feather bonuses. Opinions? Mild (easy) - Reduced health, move/ability pattern weakened. Low reward. Spicy (normal) - Normal stats. Normal reward. Ghost Pepper Hell (insane/impossible) - huge stats buff, added quirk is stronger, move/ability pattern stronger, overall crazy. High reward (with some higher tier cards). However, to take into consideration, I plan on using the following for the reward system: cards are awarded for each different difficulty for the first time they are played. If you complete a higher difficulty, you receive all of the cards that would be awarded from the previous difficulties that you haven't already received. You cannot fight a difficulty of boss equal to or less than the highest difficulty you have beaten for a boss. Players who are in: Swampmist, Gorsgan, Credit, Timetech, chimericWilder(I assume?). This will leave 3 slots left. Oh, no im just here to talk about mechanics. And it appears that im all out of talk. Besides, i'd rather not take someone else's spot.